Party also marks the museum’s Sweet 16 celebration. The fun doesn't end at 5:00 pm. Hang onto your hats, your birthday party hats that is! On Friday, March 11, Stepping Stones Museum for Children is bringing back a visitor favorite with a twist. Visitors are invited to a Storybook Pajama Party on that day – which also happens to be the museum’s Sweet 16 birthday! Attendees can come and relax in their PJs and enjoy birthday party stories and activities. Most exciting of all, honored guest Clifford the Red Dog will be there for photo opportunities. The museum’s lovable mascot for literacy, Boo Zoo, will be there as well, posing for photos and enjoying the birthday vibes. Registration is required. In addition, Stepping Stones Museum for Children would like to help the parents that have supported them. 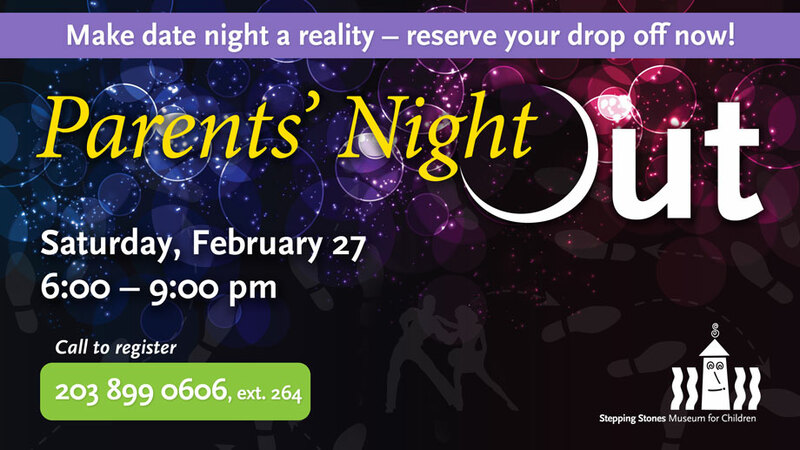 From 6:00 – 9:00 pm on Saturday, February 27, parents are encouraged to enjoy a relaxing night out knowing their children are in good hands at the museum. Even dinner is included! Registration is required for this as well. Rainforest Adventure, created by Stepping Stone Museum for Children, is partially sponsored by Horizon Foundation, Inc.
For more information about Storybook Pajama Party, Parents’ Night Out, or Rainforest Adventure, please call the museum or visit its website.